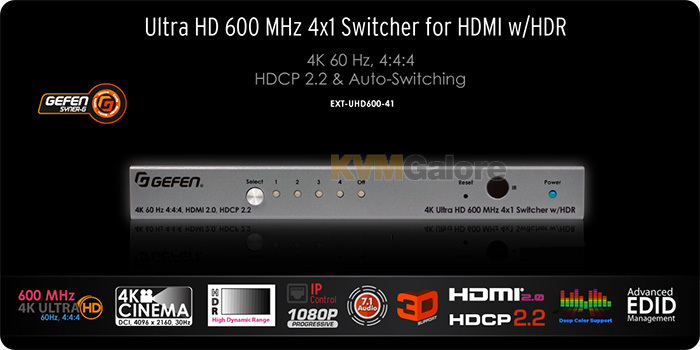 KVMGalore is now shipping new Gefen 4K HDBaseT™and fiber extenders, video splitters switchers and matrices, all with 600 MHz full bandwidth support accommodating resolutions up to 4K Cinema-DCI (4096×2160 @ 60Hz 4:4:4), and 4K Ultra-HD (3860×2160 @ 60Hz, 4:4:4) along with HDR-10, Dolby Vision™, HDCP 2.2 and the legacy HDCP 1.4 ...read more. A KVM switch uses cables to connect its computer ports to each computer's keyboard, video and mouse ports. 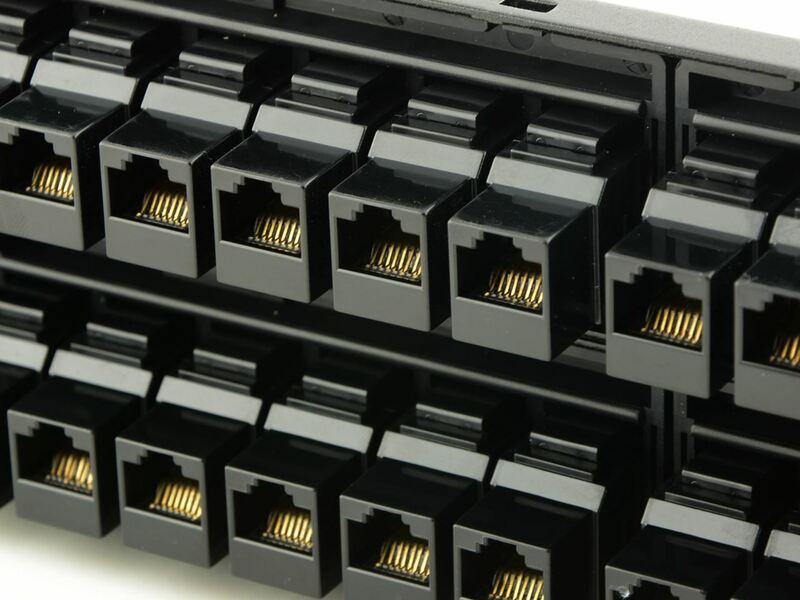 Traditionally, these are coax cables, but coax KVM cables tend to be bulky and somewhat cumbersome to manage, especially when deploying ...read more. 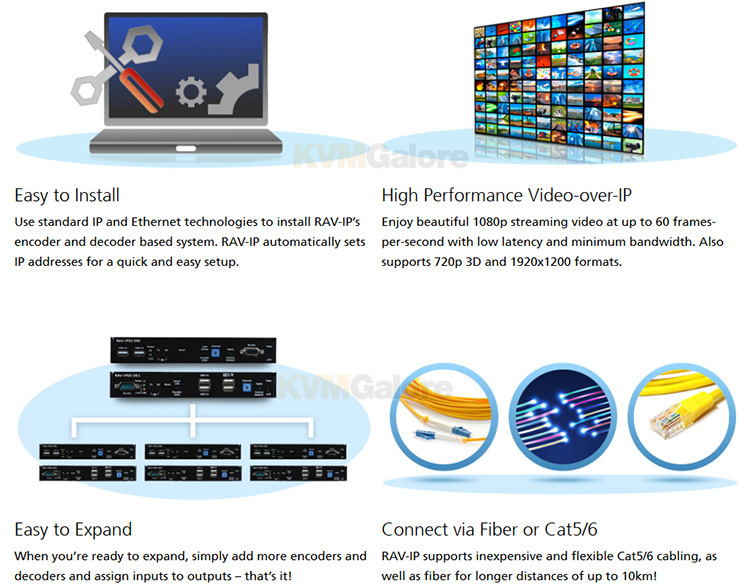 KVMGalore today introduced RAV-IP: a powerful and flexible audio visual (AV) distribution system from Raritan to support a wide range of small and mid-sized applications, ranging from digital signage ...read more. From the boardroom to the classroom, giving a presentation that involves video and audio requires easy connectivity to a wide variety of A/V hardware. 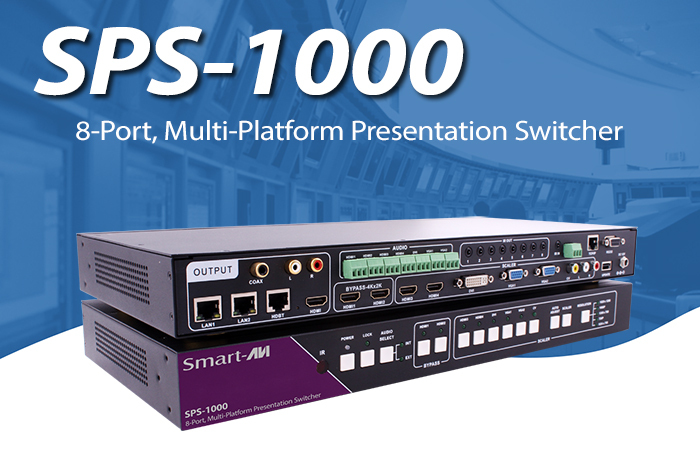 For this reason, SPS-1000 is an absolute must-have ...read more.